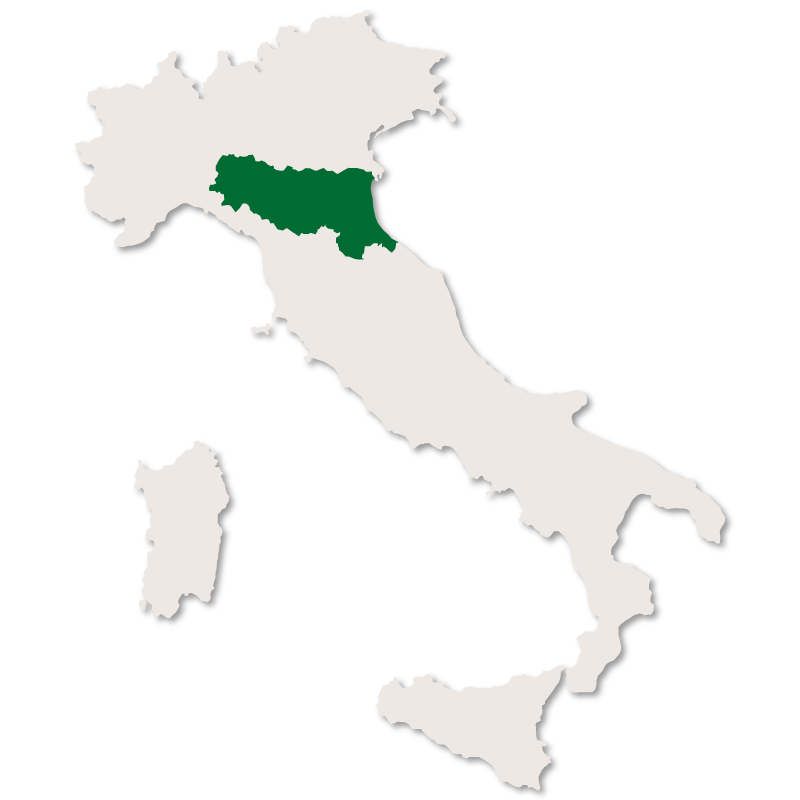 The Province of Ferrara has an area of 2,632 square kilometres and borders the provinces of Ravenna and Bologna to the south, the province of Modena to the west, the region of Veneto to the north and the Adriatic sea to the east. 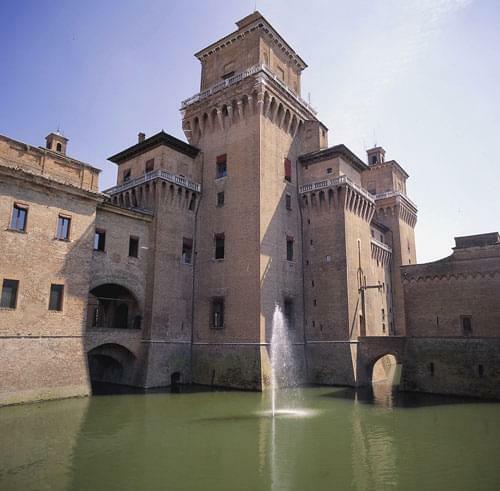 Ferrara is quite flat compared to the other provinces of Emilia Romagna but has some beautiful scenery including charming coastal resorts, valleys, lagoons, forests and magnificent towns and villages. It is criss-crossed by rivers and a large amount of canals from which extensive plains sweep up to gently rolling hills. 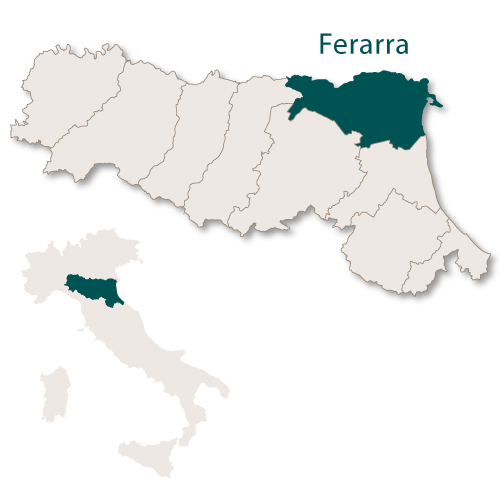 The capital city of the province of Ferrara, the city is 50km north east of Bologna. It is a pleasing, light city with wide streets and has recently qualified as a UNESCO World Heritage Site. The city is enclosed by over nine kilometres of ancient walls which were contructed during the 15th and 16th centuries. These walls, along with the ones surrounding the town of Lucca, in Tuscany, are the best preserved walls in Italy. In the very centre of the city is the grandiose Castello Estense which was constructed at the end of the 14th century. It is an imposing brick building with four monumental bastions and was the home of the Este family. The family lived in the historic City Hall (also in the centre of the city) before the castle was built. There are many early Renassance palaces in the city of Ferrara including the Palazzo dei Diamanti, which now houses the National Picture Gallery, and the Palazzo Schifanoia which has some interesting frescoes. There are also many other beautiful Renaissance buildings in Ferrara but the best preserved of them all is the The Casa Romei. It was once the home of Giovanni Romei and his wife Polissena d'Este before being inherited by nuns of the Corpus Domini order. The nuns lived in the house, looked after it well but altered nothing which accounts for its immaculate condition today. Nearby is the Corpus Domini Monastery containing the tombs of the House of Este and as well as other distinguished figures including Lucrezia Borgia and Eleanor of Aragon. There is a large Jewish community in Ferrara which has been present since the middle ages and is still surviving. In the centre of the old medieval centre, very near to Castello Estense, is a Synagogue and Jewish Musuem. This area is part of the Jewish Quarter where the Jews were banished and kept away from the rest of the inhabitants of Ferrara from 1627 to 1859. As well as the main buildings there a numerous beautiful churches, piazzas, houses gardens and a Communal theatre which are well worth visiting. 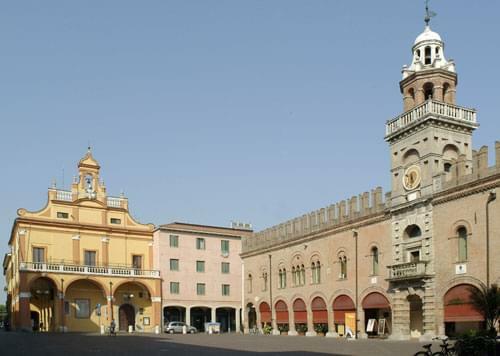 Ferrara is also a univeristy town with the excellent university having faculties of law, architecture, medicen, natural sciences and pharmacy. The university also has a library containing valuable historic manuscripts and it looks after the Ferrara Botanic Gardens which are close to the main facilities. Every year Ferrara holds a 'Buskers Festival' which involves a parade of hundreds of the best street musicians in the world. It also holds a ten day balloon festival which is one of the largest in the Europe. Once a small fishing village in the marshes of the banks of the River Po, Cento is now a thriving and elegant town. There were once four 14th century gates which allowed entrance to the town but today only one, Porta Pieve, remains. There is a castle which was built in 1378 by the Bishop of Bologna. It is a large square building with square towers. The 18th century Palazzo del Monte di Pietà now houses the Civic Gallery and the Palazzo del Governatore contains the modern art gallery 'Galleria d'arte moderna Aroldo Bonzagni'. 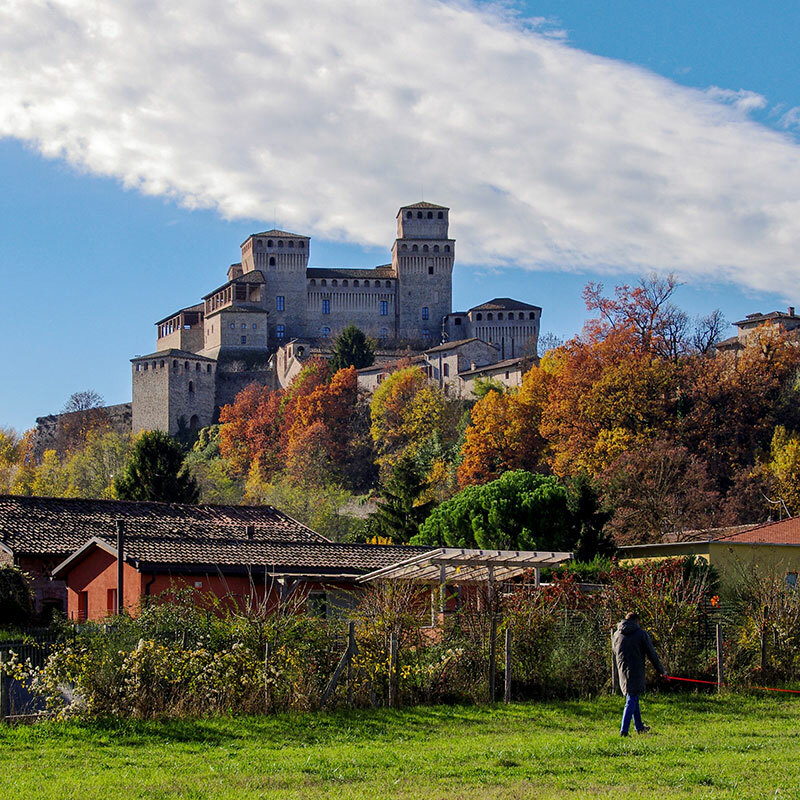 Just outside the town, in a south easterly direction, you can find the historic fortification of Pieve di Cento. Another interesting town which was reclaimed from the marshes of the Po Delta is Codigoro. Here you will find the 9th century Abbey of Pomposa, a Venetian style Bishops Palace (1732) and an 18th century tower, 'Torre della Finanza', which was built to control the trade routes. Comacchio is set over thirteen small islands in a lagoon just north of the mouth of the river Reno. These islands are all joined by bridges, the most important and impressive being 'Treponti' which was constructed in 1638. The main industry of the area is fish farming and salt ponds. 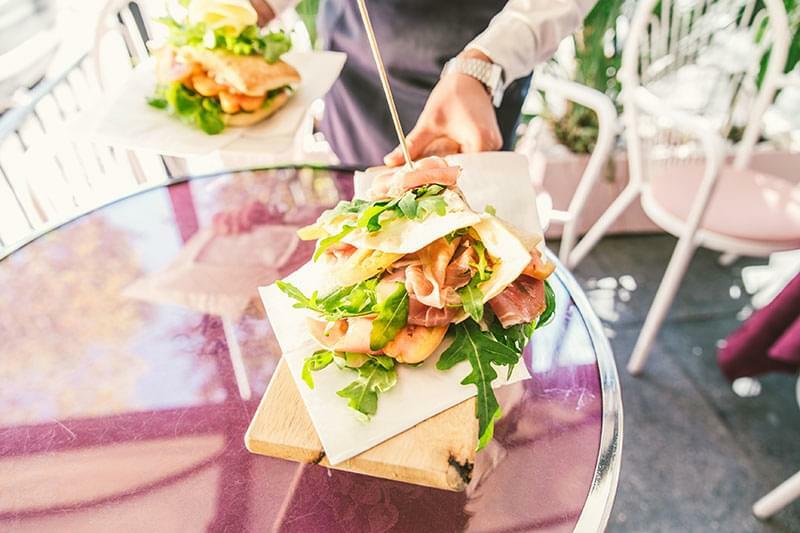 Lying halfway between the towns of Ferrara and Ravenna, Argenta is in the agricultural flat plains lying on the wetlands of the Valli di Comacchio lagoon. Most of the wetlands today have become a wildlife sanctuary and home to the Marsh Museum which specialises in, and has many facilties for, orinthology. 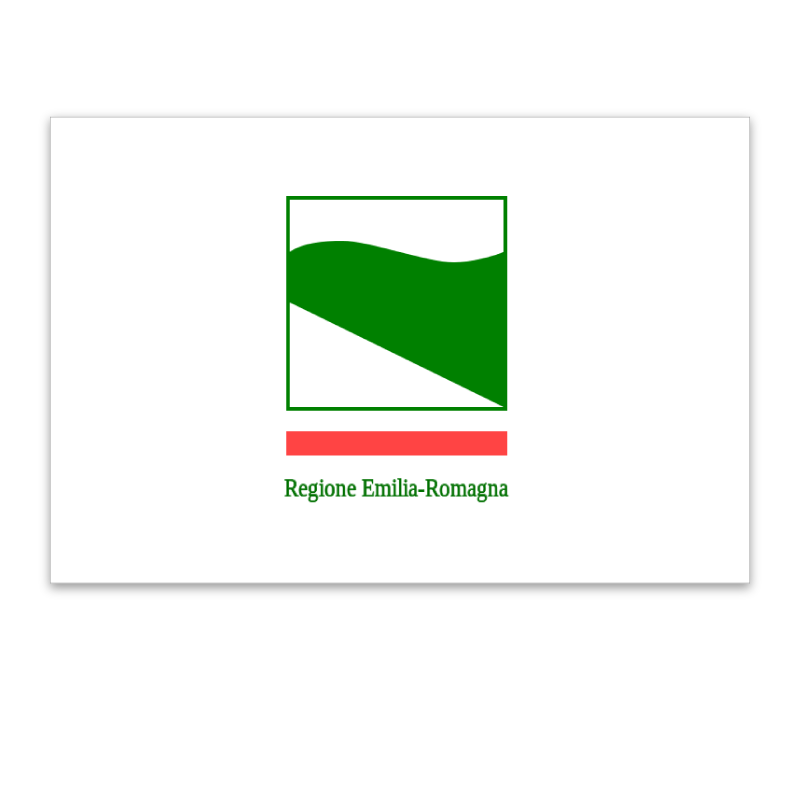 Two other musuems of interest in the area are the Musuem of the Valleys of Argenta and Mueso dell Bonifica (Museum of Land Reclaimation). 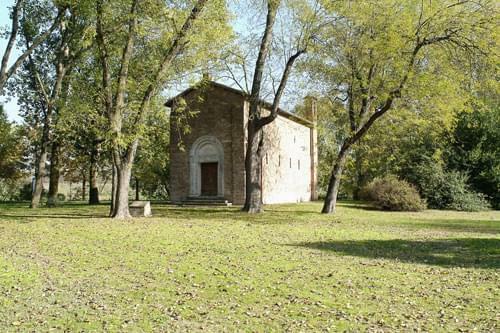 On the right bank of the Reno river there is an interesting church, Pieve di San Giorgio, which is the oldest church in the province of Ferrara and one of the oldest in the whole of the region of Emilia Romagna. Built in 569 AD under the orders of the archibishop of Ravenna, this Paleo Christian church is no longer in its original form with much of it now two metres below ground level. The town was fortified by a disjointed line of towers and castles throughout the middle ages to protect it against neighbouring Ferrara which is only 12 km. away. Many of these towers still remain, namely, the Tower of the Uccellino, Tower of the Cocenno, The Tower of the Poggio,Tower of the Verga and the Clock Tower of Poggio Renatico. The Lambertini Castle remains as does the ancient Abbey of St. Michael the Archangel. Roughly 5 km. outside the town is one of the Italian Air Force's biggest radar stations which was formerly used to monitor air traffic over Yugoslavia and southern Warsaw Pact countries.